Want to build family tree is most creative and easy manner? 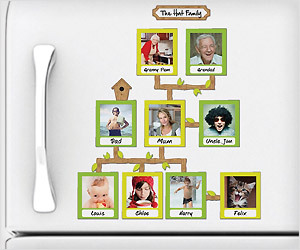 Checkout family tree photo frame magnets for refrigerator. Just collect photos of family members, then build family tree using 15 magnetic photo frames and 45 connector branches.